A case I was really interested in settled yesterday. That happens a lot, especially for an intellectual property lawyer and trademark agent such as myself. It's quite frustrating as a practitioner, as I would love to have seen how the Commercial Court would have decided this case on its facts and merits. "It's better to have weak intellectual property in strong hands, than strong intellectual property in weak hands." Another colleague (whom I won't name), who is a very respected IP Partner from another firm once said to me "The system is rigged in favour of the big guys". NOTE - As this Tipperary Crystal case never went to trial, and the full facts never came out, these comments are not directed at this dispute, but rather are general comments arising in many IP disputes. Generally, any trademark dispute involves an inequality of bargaining power from the outset. For example, one party will have a trademark and the other party will not. Or it could be that one party will have more trademarks in more jurisdictions. Or it could simply be that one party is a far more established and bigger company, with greater resources. So, that party (who is the prospective Plaintiff) will contact the person/entity they say are are infringing their rights. They will say "You are infringing our rights" (solid opener) - "Stop or we're going to sue you." The party receiving that letter will (if they have any sense) seek legal advice. If they contact me, I will usually say something like "You have a very strong case, and I think you will win....but no litigation is without risk. If you lose, here are the consequences". The consequences (two sets of costs, damages, and the likelihood of appeal even if they win) are usually more than any company without a lot of money are willing to take a chance on. This is especially so if the person/entity threatening them with litigation is a 'big guy'. And so the case settles, quite often with the weaker party re-branding. Case in point - See this Article on Scooby Box. It's now called Buster Box. QED. So, If you get a cease and desist letter, remember, "You don't have to have a good case, to take a case" and "It's better to have weak intellectual property in strong hands, than strong intellectual property in weak hands". Settling is always a good idea. So is mediation. But don't settle too early, especially if you're in the right, and certainly not just because a big guy has threatened to sue you. 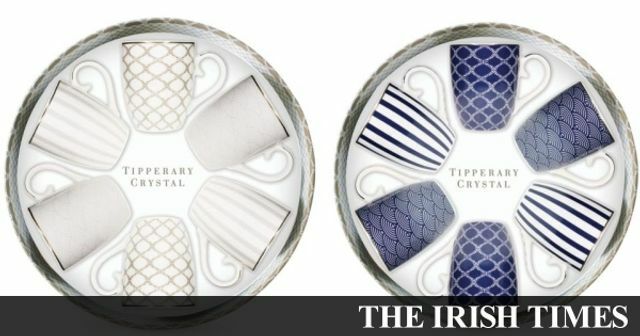 A dispute between the owner of Tipperary Crystal and a giftware seller over the alleged passing off of trademarks has been resolved. Tell Me Why, Do We Build (Trademark) Castles in the Sky? Who do you TRUST more, the GAA or a T-Rex?